The many pressures on maternity services such as escalating intervention rates, rising costs, and midwife and doctor shortages has resulted in a growing interest in how midwifery continuity of care can be provided. 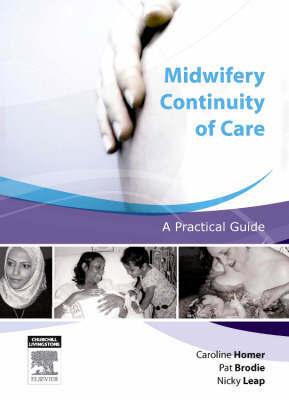 "Midwifery Continuity of Care" provides a robust and well structured 'how to' guide to this topic by discussing the development, implementation and evaluation of differing ways of providing continuity. This new book includes practical advice on engagement with stakeholder as well as outlining ways of receiving and acting on feedback in relation to development, implementation and ongoing evaluation. "Midwifery Continuity of Care" includes summaries and vignettes which bring midwifery continuity of care to life and make them relevant to practising midwives, managers and others working within maternity services. Written by an international team of contributors, this book highlights the lessons learned by others to help develop new ways of thinking and practising. It will be an invaluable practical guide to all midwives, midwifery managers, student midwives and educators, and will also be of interest to policy makers and health service executives.